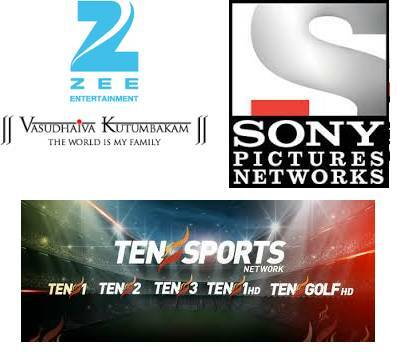 Sony Pictures Networks India (SPN) today announced that SPN and its affiliates have entered into definitive agreements to acquire TEN Sports Network from Zee Entertainment Enterprises Limited (ZEE) and its subsidiaries for 385 million U.S. dollars. Completion of the acquisition is subject to regulatory approval. The acquisition will add South Asia's leading sports network to SPN’s existing portfolio of channels. Meanwhile, in its clarification to the Bombay Stock Exchange (BSE) yesterday regarding a news report in Economic Times titled “Sony likely to buy Ten Sports from Zee Entertainment for about Rs 2000 cr”, Zee had stated that it was at an advanced stage of discussion for sale of the sports business with potential buyer(s). Zee further said that the sale talks were part of the ongoing process of “exploring various strategic options for entering into new business and/or exiting/ restructuring existing businesses” in order to maximise shareholder returns.